Love the new flower! 🙂 So pretty. What a beautiful stamp set! I love flower stamps. 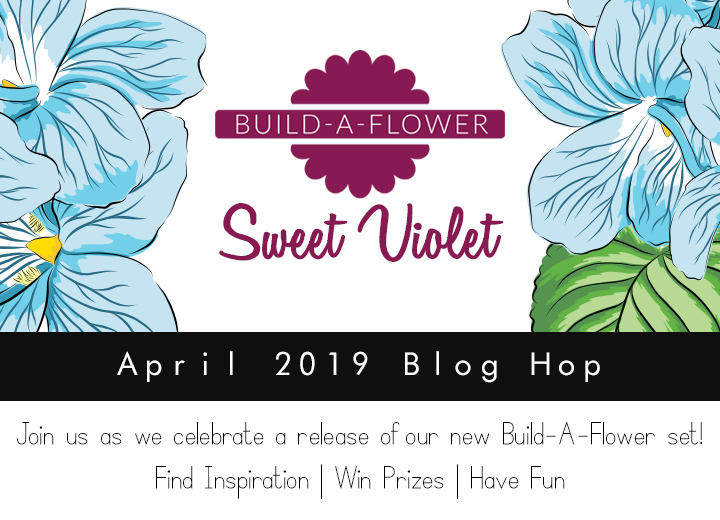 These Violets are a lovely addition to the Build A Flower series. Perfect for dainty bouquets! Love the new flower set! The stamped veins on the petals make it look particularly realistic! Love this set. It reminds me of my dad and the African Violets he grew! So beautiful! I’m so excited to see everyone’s projects with this set! I love the new Violet build a flower set! The different layers are so gorgeous! Takes me back to memories of my grandmother….she always had violets at her house. Lovely….it instantly made me think of spring! These violets are gorgeous, just love this new set! So excited about this set. I adore violets. Great set! I love these flowers! 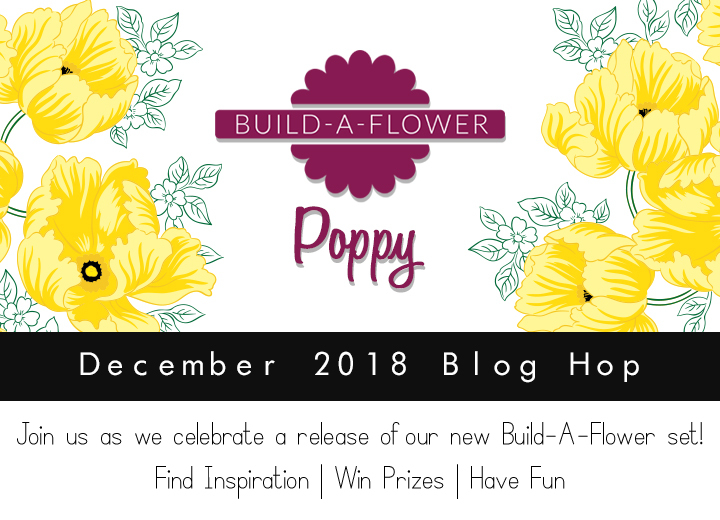 Amazing flower set and hop projects! So many talented crafters on the design team! I hope to join them someday! I love violets. This is a great build a flower set! Just spent a gc, so now I need another one–haha! This set is really beautiful & has sentiments I can use! I love violets! Always plant them in the spring. Fun fact – these can be called mother-in-laws-violet “styvmorsviol” in Swedish. My grandmother loved violets so this reminds me of her. 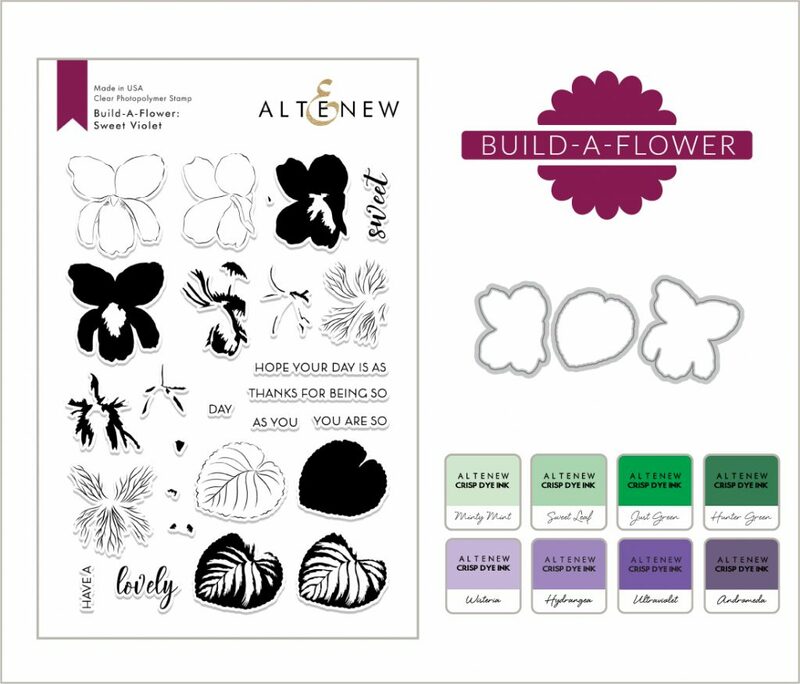 Love your build a flower stamp sets! These stamps give beautiful dimension!!! 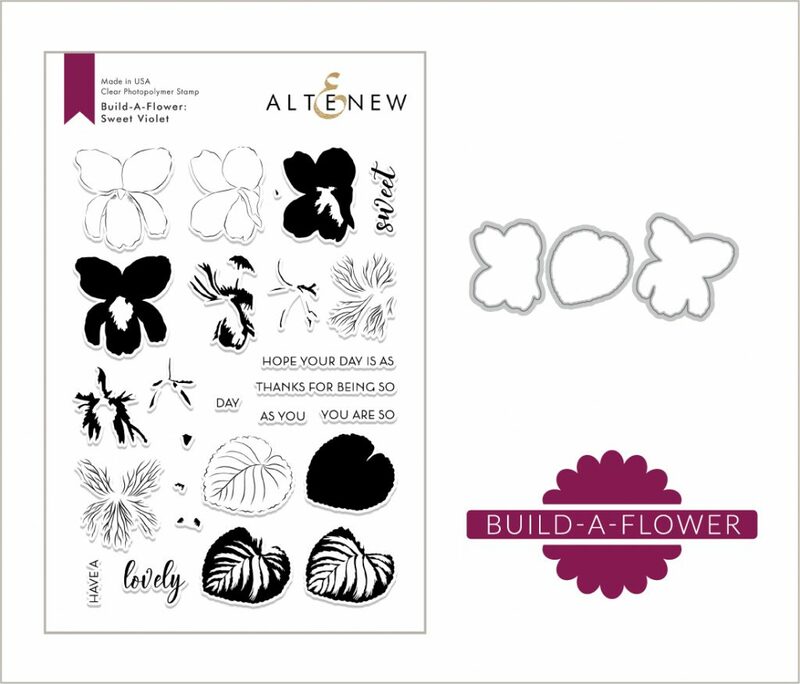 What a great addition to the Build-A-Flower series!! So many possibilities for this ‘lovely’ set, as the very talented blog hop designers have beautifully demonstrated. I love violets–this is a terrific new stamps set, thanks for sharing! Violets are one of my favorites. They are so delicate. The stamp set reflects that. Another fabulous BAF set!! Can’t wait to see what everyone has created. Wow, this is a beautiful flower, love it. I’m loving what the designers are doing with this release. Such a beautiful flower. The incredible cards made with this new build a flower have me drooling! Each one more beautiful than the next, I love to we the many different ways the stamps cm be used. I love violets and this amazing set! Love violets and love this stamp set. The sentiments are nice, too! This is a lovely new stamp and die set. such a versatile stamp set! I absolutely love this stamp set!! The colors are beautiful. 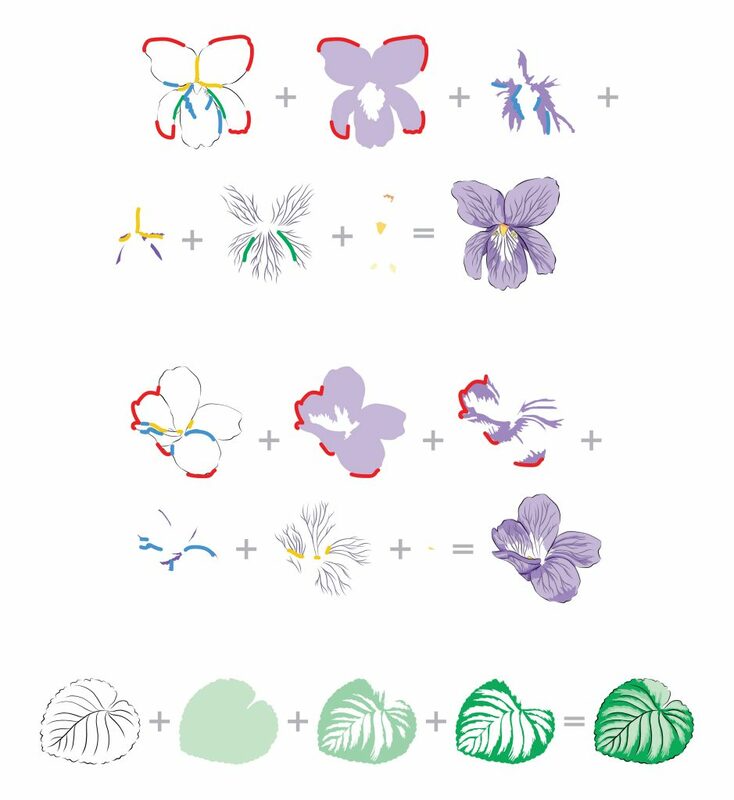 I can see myself making 3D flowers with this kit!! I love this flower set. Thank you for the flower history. Beautiful flower!! Love all the AMAZING creations!! Thanks for the fun hop! Violets make me think spring and this set is so pretty!! Perfect flower set to release for spring! I love love the new set! Violets are one of the first blooming flowers that show up in my garden, and it tells me that spring is here! After many frigid months of winter, I am especially happy you have made a build-a-flower set for violets! I just love your amazing stamp and die sets, as well as all the other creative products you sell. This set speaks to me since NJ’s state flower is the violet and I’m a Jersey girl! It is a beautiful set and I’m putting it on my list.